The Art of Non-Conformity by Chris Guillebeau could have been called ‘the art of thinking for yourself about your life’, except that title isn’t as catchy. It is a tour de force regarding how to identify key values and decisions in your life that will greatly affect your happiness. The author’s core message is that each person should question the standard, routine (even boring) advice on life and career which has been handed to him by his culture. This standard advice suggests consists of: finding a stable field to work in, going to college if possible, then getting an entry level job and gradually working your way up to higher positions within large companies. As you work your 9-5 job, you should save for retirement until the age of 65, at which point you can really enjoy your life. In the Art of Non-Conformity, Guillebeau says: Stop sleepwalking through your life! Rediscover that simple question of childhood: ‘why?’ Apply that question relentlessly to all of life’s decisions. The author uses many examples from his own life to remind readers that you can live a remarkable life. He questions the need for formal degrees and instead emphasizes entrepreneurship, multiple streams of income, and lack of reliance on any one person or company. This approach he views as in fact a more secure way of surviving and thriving, though this is not the conventional view of how to be secure. Similar to Tim Ferriss’ book ‘The 4-hour Workweek’ he promotes having a ‘location-independent’ career, such as one that is web-based. A career like this will allow you to travel and to enjoy your life now - even while you are still working. Although he does save some money for retirement - he has no formal intention of retiring and he views money mostly as the means to accomplish his major life’s goals. More important even than the advice so far discussed, The Art of Non-Conformity stresses the importance of having a larger purpose. He calls this ‘working on your legacy’ and feels it should be what gives meaning and enjoyment to your life in the long run. He advocates a balance between enjoying the here and now (the simple, immediate pleasures of life) and working on legacy work that will define in part the meaning of your life. Taking a cue from what he did with his own life (becoming a popular blogger and professional author) the author suggests that a good way to become an entrepreneur is to follow a similar path. He suggests that we each use a web-site of some kind to create a platform from which we can present our ideas, products, or services. Our goal should be to create our own ‘small army’ - a group of followers and colleagues who are drawn to our work and with whom we can interact for mutual benefit. He points out that you need not convince the whole world about your ideas - but rather - simply expose the world to your ideas - with the reasonable expectation that a select few will be drawn to you. Among these will be peers, those who want to buy a product or service from you, those who want to promote your product or service to others, and people with whom you will network. This is all you need, he explains, to succeed. The Art of Non-Conformity is excellent - and in my opinion - fundamentally correct in all major aspects. The author rightly wants us all to question traditional ways of living and to open us up to new ways of thriving and surviving in the modern, web-based world. While his particular hobby is travel, and he does not push this on every reader, he is certainly correct that travel appeals to a broad group of people and unique approaches to incorporating it into life should be welcomed by most. More importantly, the author highlights why we all need an overall purpose in life. Armed with this purpose, we gain clarity in our thinking, we have guidance on which other activities to include and exclude from our lives, and we feel more productive and fulfilled. This book is an excellent introduction to living a unique, valuable, enjoyable, accomplished, and remarkable life. The Art of Non-Conformity is an excellent book which emphasizes how each of us should think deeply about our own lives in order to make them remarkable. 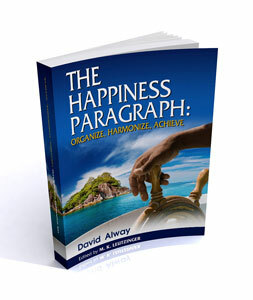 He provides excellent advice regarding many aspects of life and so I would recommend this book highly for its potential to add to your happiness.